Six times a year you might receive this perfectly printed, cleverly written, enticingly new magazine on design, interior, art, architecture, fashion, food, travel and all other things that make life wonderful. 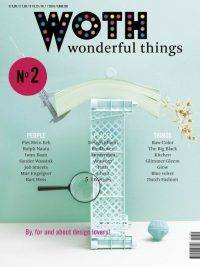 Please consider a subscription to WOTH Wonderful Things Magazine. 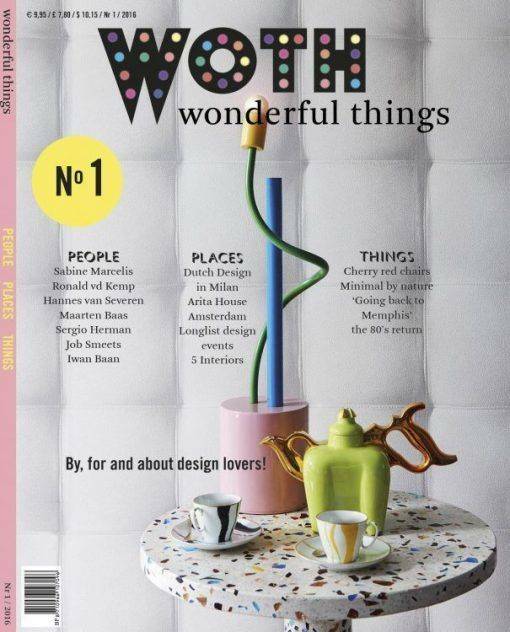 WOTH 1 – the first issue of Wonderful Things; by, for and about design lovers! For WOTH 1, Wonderful Things Magazine, we have been able to find commitment from some outstanding people: Wim Pijbes writes about his new job as director of the new museum Voorlinden (formerly director of Rijksmuseum), Iwan Baan photographer of stararchitects wil contribute by making a photographic essay about his life an Job Smeets of Studio Job will write about cars, one of his many passions. Dutch Designer Gert Dumbar made the WOTH logo! 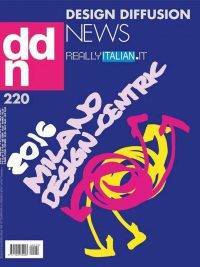 Is it design that makes you feel good? Interiors, fashion, slow food or travel? 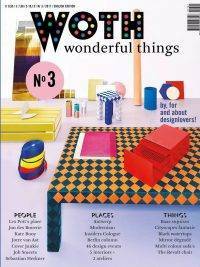 WOTH Wonderful Things Magazine’s presents a fresh approach to the things that make life interesting and pizzazzy. This new bi-monthly from Holland indicates the most influential creatives, how personality shows through in an interior, which brands to follow and ‘must-see’s’ on the international calendar of events and shows. 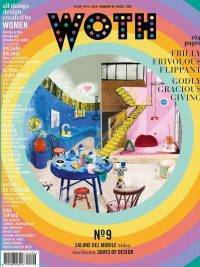 WOTH Wonderful Things Magazine presents a contemporary way of life and portrays creative professionals, that add color and texture to the world. 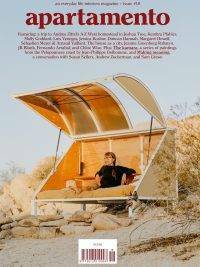 It’s the new title by Mary Hessing, connaisseur of contemporary design and living. 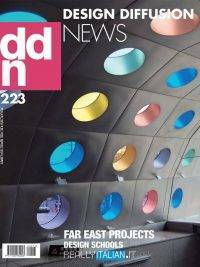 After acquiring a degree in fashion design at the famous ArtEZ school of Arnhem, Hessing worked as the editor in chief of Eigen Huis & Interieur and More Than Classic magazines for many years. Her work was favored a prestigious Dutch Mercur Award for Art Direction and a Golden Ozzy Award.